Start by pre-heating the oven to 425 degrees F. Remove excess fat from chicken breasts for a healthier meal. Take the olive oil and rub on the chicken. 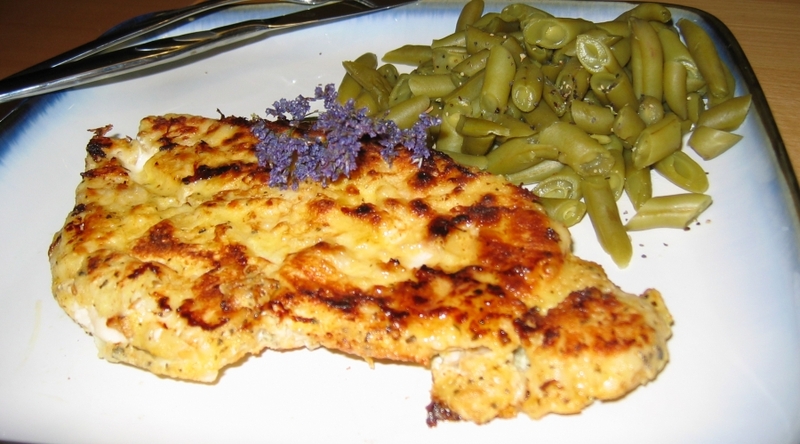 Place the chicken breasts in a baking pan. Sprinkle the salt and pepper on the chicken. Dice the onions and put them on the chicken. Cut up the lemons into quarters and place these on the chicken as well, along with one clove of minced garlic. Cut up the sprigs of rosemary and sprinkle them on top. Cut the remaining onion, lemon, and mince the remaining garlic clove. Fill the pan with the white wine and remaining ingredients. Cook for 1 hour and 15 minutes until juices run clear. Serve with vegetables, salad, and some fresh bread.